Normally at this time of year, I come up with a huge list of goals that I want to accomplish over the next 365 days (or 366 for 2016). 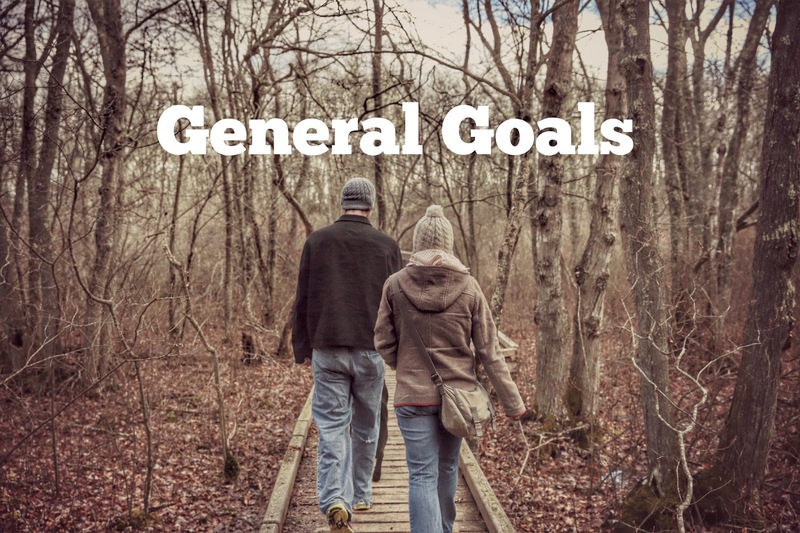 I am still going to come up with goals for 2016, but it isn't going to be a huge list and they are going to be a bit more experience-based than my previous goals have been. 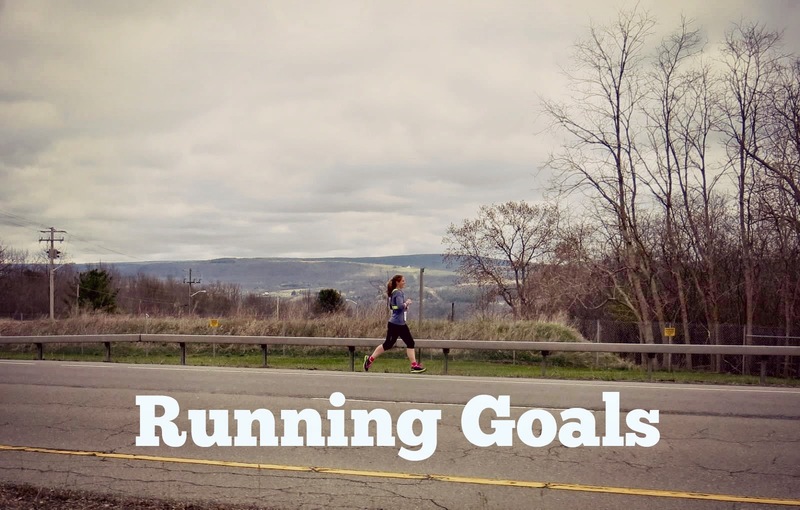 I have realized after not hitting any of my mileage goals for the past three years (with the exception of my cycling mileage goal in 2014) and always stressing out about it, that some of the pressure I put on myself is unnecessary. This doesn't mean that I'm going to stop tracking my mileage, I am just not going to set some arbitrary number that I need to reach by the end of the year. This year was actually my lowest mileage year for running, with the exception of 2012, since I started tracking yearly mileage. The crazy thing is that I did two 70.3s, the SOS Triathlon, two 50Ks and a 50 miler, yet knowing that I didn't accomplish my goal again was always there in the back of my mind. Mike and I also realized that there is a big world out there. 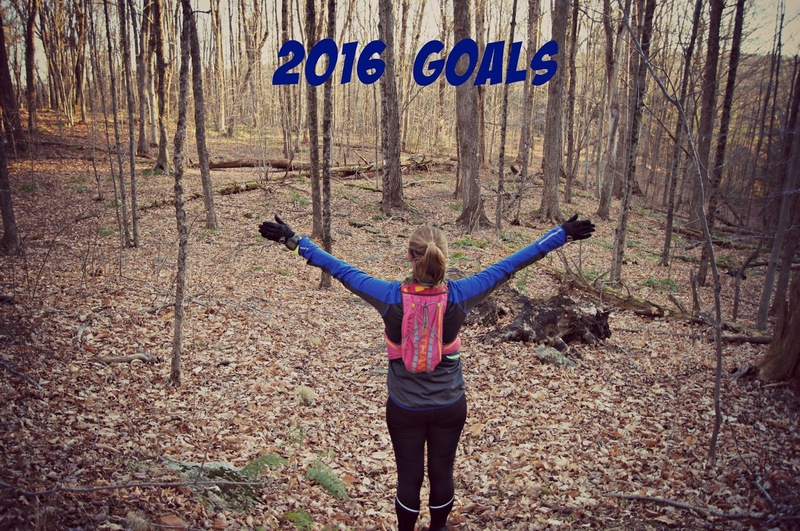 2015 brought lots of adventures, including traveling and hiking. 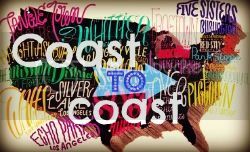 I would love to travel to other countries (not including Canada, though there are amazing places we have yet to explore there) and to visit (and race in) all 50 states someday. Over the past few months, I have learned that material possessions are not as important as the memories that we make. I believe that I have always known that, but being in the woods for almost 12 hours running a 50 miler, hiking for hours and feeling like it flew by, riding for fun around a lake and so much more has sparked something within me. We may not end up living as minimal as some, but in the future I hope that when we look back on our life we can say we are proud of the adventures that we had, rather than the material things that we bought. My goals for 2016 will be simpler, but still motivate me, challenge me and inspire me to be the best that I can be at this moment. Finish Ironman #2 with a smile on my face. 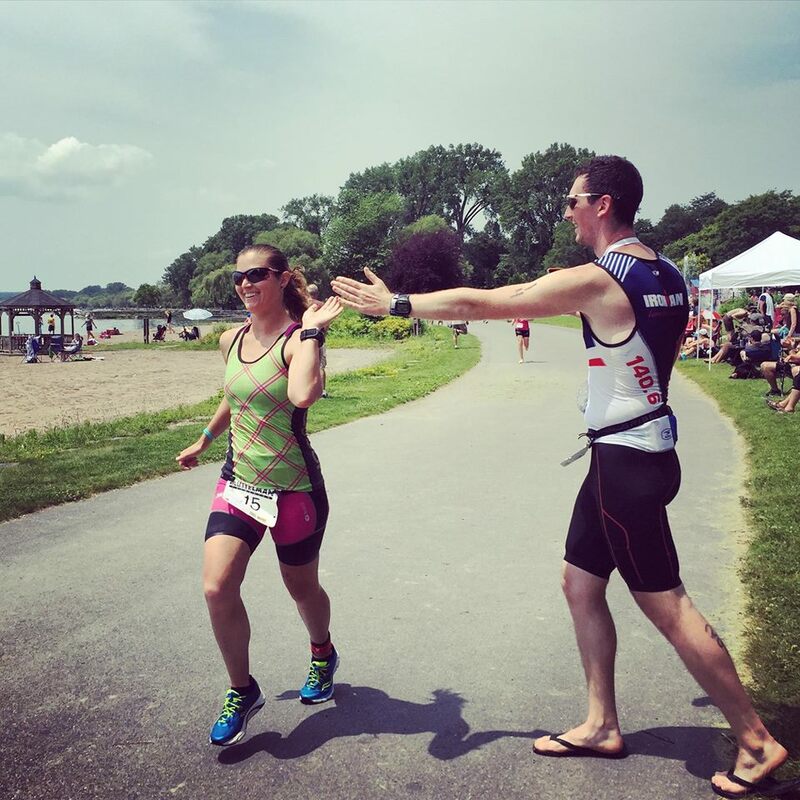 PR the Half Ironman and Ironman distance. 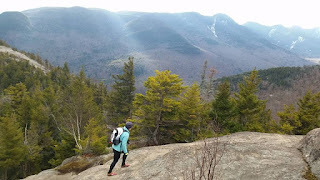 Complete the Great Range Traverse in the Adirondacks (approximately 25 miles, depending on the route). Section hike more of the Appalachian Trail. Ride around two more of the Finger Lakes. Race, train and go on adventures with family and friends as much as possible. Be in the moment while with family and friends. Volunteer at a race at least twice. Unplug more often (I am contemplating going cell phone and laptop free one night a week). Continue to declutter, organize and donate/get rid of items in our house (hopefully start the sell our house/buy a new house process as well). Plan something epic for 2017. That's all for 2016. I'm sure some mini-goals will come up as I go, but I am happy with my decision to keep this next year simple. At least as simple as possible while training for an Ironman! It's hard to believe that there aren't many days left in 2015! This year went by really fast, but I am looking forward to all of our adventures in 2016. 2015 was a different kind of year for us. We didn't race very much at all (I raced the same amount of times as 2014, and Mike raced even less) and my goals were different than Mike's goals. I trained for two big races that he didn't do (and a third that was used as a training run), which caused some difficulties for me training-wise. After my 50 miler, we took a break from training for a full week. We still haven't really gotten back into a normal training routine, but we will be soon. We did take time to travel this year and we started hiking, a lot. 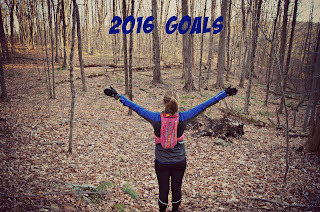 I'm not sure what this year means for my goals for next year, though I do know that they will be more "experience" based. I am looking forward to training, traveling and exploring in 2016! Now let's see how 2015 actually went. Finish a 50K with a smile on my face. Check! 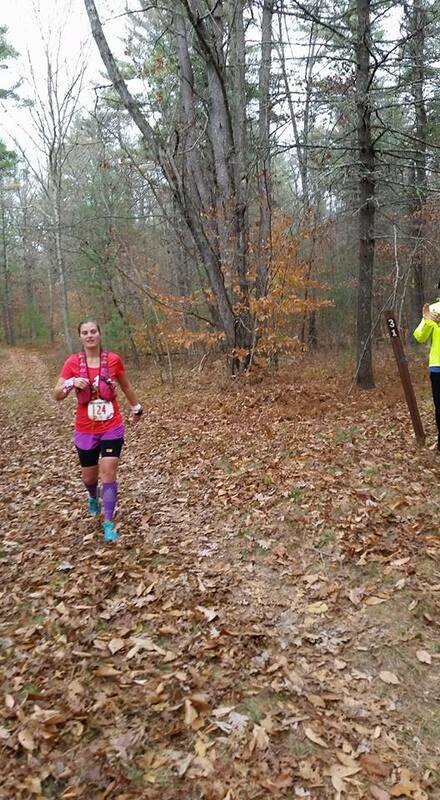 I finished the Pineland Farms 50K and CanLake 50K, both with a smile on my face! Run the entire length (out and back) of the Seneca Trail at one time (approximately 27 miles). Check! After my failed attempt earlier in the year, I can proudly say that I ran the entire length of the Seneca Trail on September 26th. PR at least one race distance. Check! Though, it is kind of cheating since my new running PRs are all in distances I have never raced before including an 18 miler, 25K, 50K (though I did PR the second time too) and 50 miler. Race and train with friends as much as possible. Check! Mike and I did train by ourselves a lot this year, but we ran trails, swam, did FIT1 and raced with friends numerous times. 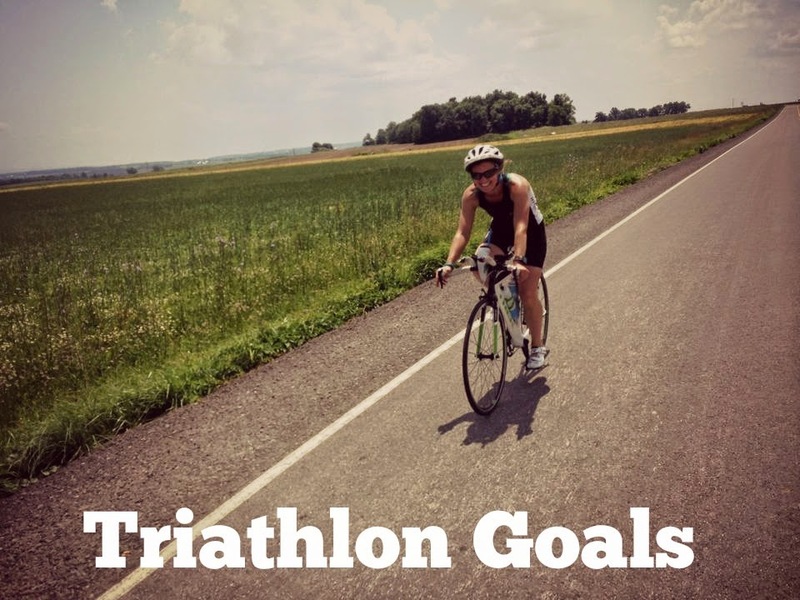 Swim a total of 110 miles, bike a total of 3,500 miles and run a total of 1,300 miles. Not accomplished. At the time of writing this, I have 57.03 swim miles, 1,420.57 bike miles and 1,116.36 run miles. I am proud of what I accomplished given that we had a less intense racing year, but I think I am going to forego mileage goals next year. Race in two new states. Half accomplished. We raced in Alaska in August, but we did not race in a second new state. Ride around two more of the Finger Lakes. Half accomplished. We rode around Hemlock Lake in July. Complete a half Century ride a month. Not accomplished. This year our training did not include as much cycling. Complete one Century ride, for fun. Not accomplished. Our longest rides this year were our two bike legs during our 70.3 triathlons. 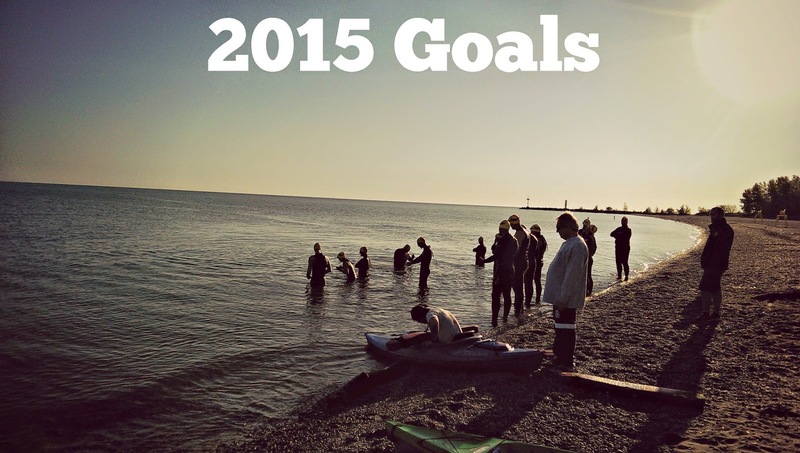 Log swimming, biking and running miles every month. Check! Technically, I did miss swim miles during November. However, every other month had swim, bike and run miles. Support Mike and friends at races I'm not participating in at least twice. Check! I supported Mike at the Fly by Night Duathlon and we went to support our friend, Greg, at an Olympic distance triathlon and our friend, Andy, at his Ironman. Additionally, I paced a stranger during his 100K race in August. That was a great experience and I would recommend that everyone do it! Place in my age group at least once. Check! I actually thought this was a long shot, but I placed third in my age group at the HITS North Country 70.3 and I placed first in my age group at the SOS Triathlon. Finish a 70.3 in under 7 hours. Check! I finished the HITS North Country 70.3 in 6:34:58 and then two weeks later I finished the Musselman 70.3 in 6:15:57. Become a Survivor. Check! I loved this race, it was amazing and I hope that we race it again someday! Decide on and register for Ironman #2 (for 2016). Check! While in Mont Tremblant supporting our friend, Andy, we registered on-site for Ironman #2. I am excited to start training in March! Set a course PR at Keuka Lake Intermediate triathlon. Check! I finished in 2:58:08. Volunteer at a race at least once. Check! We volunteered at the inaugural Ontario Summit Trail half marathon and marathon with our friend Greg at an aid station and we volunteered all day at the Rochester Triathlon in August (the day before a trail race). Make strength workouts a regular part of our training routine. Check! While we fell off track in the beginning of the year, we have since made FIT1 a regular part of our routine. We go once a week, unless we have a big race, and it is a great addition to our training regimen. Remain injury-free. Check! The worst thing that happened to me this year was getting sick the week of (and during) my 50 miler. It took a lot out of me, but I am ready to get back into things again. See at least one new lighthouse. Check! We saw two new lighthouses in Maine - Doubling Point Lighthouse and Squirrel Point Lighthouse. We also saw the Rockwell Lighthouse in Alaska (which may or may not be considered a real lighthouse depending on your source) and over Thanksgiving weekend we saw three new lighthouses in Rhode Island - Ida Lewis Rock Lighthouse, Castle Hill Lighthouse and Beavertail Lighthouse (we could also see a few lighthouses in the distance on the water). Go hiking in Alaska. Check! Our trip to Alaska to visit Crystal and Joe was amazing and we got to go hiking with them and their friends numerous times. 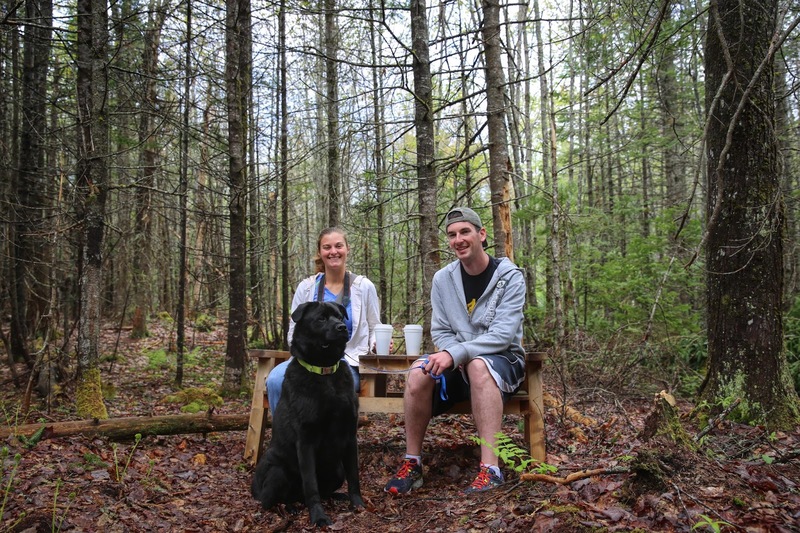 Hike at least one new mountain in Maine. Check! Technically, I already hiked this mountain but never with Mike. We hiked Flying Mountain while in Maine in May. 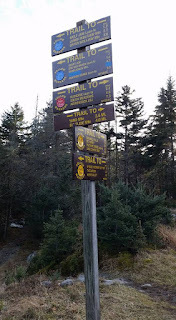 Hike at least two of the 46 high peaks in the Adirondacks. Check! 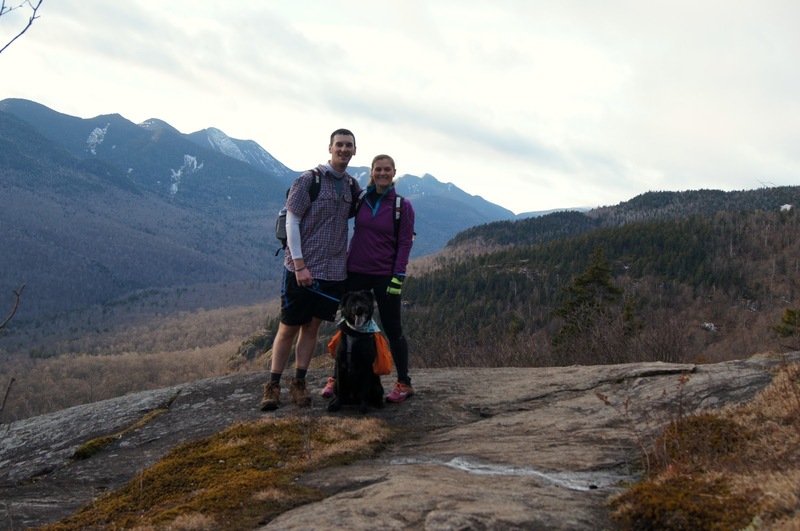 We hiked five of the High Peaks - Porter and Cascade in July, Tabletop and Phelps in September and Big Slide in December. Do one thing, that's not planned for 2015 yet, that "scares" me. Check! 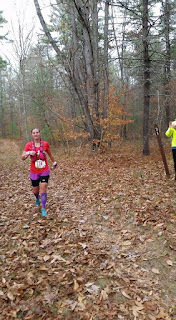 I registered for the Stone Cat 50 miler lottery, was picked and ran the race. Also, I shot a gun (more than one) while in Alaska. That definitely scared me! Organize and display our race bibs and medals. Half accomplished. Our bibs are organized and displayed, but our medals are still sitting on a desk in a pile. I am going to order a hanger for them soon. Get rid of, donate and/or sell at least 10 items in our house that we no longer use. Check! Mike and I recently cleaned and organized our house. We donated multiple bags of clothing (we actually did this at the beginning of the year and again yesterday), we threw away old items that we no longer need or use (and can't be donated), we shredded old papers that we no longer need, we recycled boxes and bags and I have two huge bags of books to donate. We also sold our Wii and Wii games a few months ago. We still have some items that we can donate, throw away or recycle and we hope to be "done" with these things soon. "Unplug" more often. Half accomplished. There were many times we were unplugged, while in the mountains, with friends and family, racing, etc. I blogged less and we were on our phones less (most of the time). However, I think we can do even better at this next year! Goodbye 2015, you were good to me! Now that I have gone through this list again, I actually did accomplish a lot this year. We raced, trained, traveled, hiked, volunteered and even recovered and relaxed. Overall, I would say that it was a well-balanced year! This past Saturday, Mike, Bernie and I hiked our 5th High Peak! Mike and I had been tossing around the idea of heading to the Adirondacks and since the weather was almost perfect (especially in December) we decided to go for it! After some quick internet searching, I found an inn that was pet-friendly AND had a great deal going on (buy two nights and get the second night half off and pets were free)! We got to the Rooster Comb Inn and made the Wolf Jaw room our home for the weekend. The first night was a little stressful, only because Bernie was barking at people who arrived at midnight, so I didn't sleep the best. Regardless, we woke up at 5:40am and got ready for our long-ish day ahead! The other nice thing about the inn we were staying at was that it was only 5 minutes away from the trailhead where we were starting our hike! We got to the Garden parking lot a little bit before 7am and there were already some cars there, though not too many. We got our stuff together and after registering, we got on our way. Our plan for the day was to take the Brothers to Big Slide and then add on more by going to Yard (a non-high peak) and looping back via Johns Brook Lodge. Bernie is all ready to go! If you start the hike by going over the Brothers, you do start to ascend pretty quickly. It is a nice walk in the woods for a bit before you get the first views of the mountains. We could hear some other people behind us as we were hiking and I figured that they would catch up to us and pass us relatively soon. After stopping briefly at an overlook, this part of the hike had so many amazing views, we kept going on the trail. Or at least what we thought was the trail. We kept going and I had this feeling that we weren't going the right way. The trail seemed really sketchy and the people behind us never caught up to us. Eventually the "trail" ended and we turned around. We had missed a turn going up some rocks to the left, so we were now back on track. Eventually a group of three people caught up to us, we chatted for a bit about the views and some other hikes, and then we let them go ahead of us. We caught back up to them again, but after checking out the views some more they got ahead of us. We kept making our way over the three Brothers, the first two have great views and the third is in the woods. It started to get cold in the exposed areas, so I put on my down jacket. While on the third Brother it started to get icy so we put on our microspikes. We ended up taking them off for a little while and then we put them back on when we saw that it was really icy again! You want me to walk on this?! We eventually got to an intersection with a sign that said, ".3 miles - Big Slide". I was happy that we were almost there! Before we headed up, these two guys asked if we had been camping (there were some people camping with a dog on one of the Brothers). When we said no, he said that he thought we had been in front of them and I mentioned that we went the wrong way at one point! They went down toward Johns Brook Lodge and we went up for the final push to Big Slide. I don't want to go up these stairs! Even though this was only .3 miles, it was probably the toughest section of the day! Poor Bernie slid down a section of the mountain since it was so icy, but luckily he was able to stop himself in time! We had to get creative getting ourselves and him up the rock slide, it was a bit stressful at times but we managed. The views were worth all of the struggle though and we were really rewarded at an overlook and at the summit. After making our way up the final scramble, we were at the summit! The three people we had already talked to were still sitting up at the top and we chatted with them some more. One of them mentioned that it was 11:11am, so we took a little over three hours to get to the summit. We all ate some snacks and took in the views. Our only complaint was that it was so sunny you couldn't really appreciate the mountain range as much! Another couple made it to the summit while we were still appreciating the views and taking a break. We chatted with them for awhile about the peaks and their packs (we still need some, our Ironman backpacks were alright but not the best for hiking) before we continued on our way. We started to head down toward Yard, which isn't a high peak because there isn't enough prominence (elevation change) between it and Big Slide. Regardless, we wanted to do a loop hike instead of an out and back (good thing since going down Big Slide would have been extremely dangerous with Bernie!) so on we went. Yard and Big Slide are less than 1.5 miles apart so we got to another sign relatively quickly. We didn't know if that was the summit or not and while we were debating what to do, another couple came from the trail we would be heading down. The four of us wandered around some of the bushwhacked trails at the top and Mike and I finally decided we had probably walked on the summit at some point (there weren't any views up there anyway). We parted ways with the other couple (who we later found out were staying at the same inn as us!) and we headed down Yard toward Johns Brook Lodge. The rest of the hike was primarily in the woods, so we didn't get nice views like the beginning of the hike. We had about 6 miles to go to get back to the car! I wonder how much water this gets in the wet seasons? We didn't see anyone else for the rest of our hike (except the same couple we saw on Yard at the register at the end of our hikes), and we just enjoyed our time in the woods. We stopped at Johns Brook Lodge to take some pictures and then we continued on our way. We only had 3.5ish miles to go! Like Mike said, nice to see where you're going, where you've come from and where you could go! After Johns Brook Lodge the rest of the hike was really easy (Mike even said that we could pretty much run on this trail). We picked up the pace and before we knew it, we only had .5 miles to go. Bern has a grump face! The perfect spot for a family photo! We ended our hike with the sunset, about 12 miles and 9.5 hours after we started. 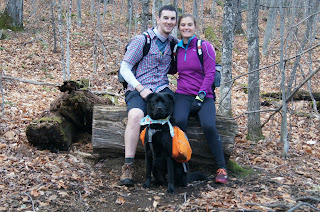 Our little family had a great hike and we already can't wait until we are back in the Adirondacks! 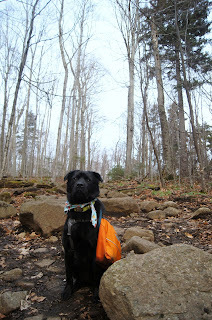 If you read my last two posts, you probably think we are a little bit obsessed with hiking. I guess we are, but this isn't a recent obsession. 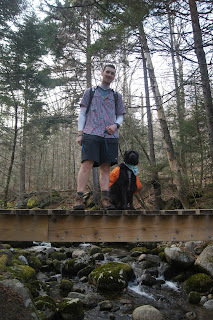 Mike and I went for our first hike together the second year that he visited me in Maine during summer break. This was in 2006 and we spontaneously hiked up South and North Bubble Mountains because I wanted him to see "the bubble". Don't worry, it's not going to fall off, yet! Since then, we have tried to go hiking every time that we are in Maine. We haven't been able to go to Maine every summer and we didn't go hiking the year we ran the MDI Marathon, but we have knocked off quite a few mountains from our list! We've hiked a total of thirteen mountains and one peak (I'm not sure if the peak counts as a mountain or not) in Acadia National Park. We've yet to hike the highest mountain on the island, Cadillac Mountain, but we hope to do so soon! On a hike with my parents, when we did not bring enough water! 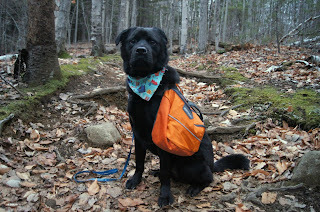 We also like to bring Bernie hiking with us! 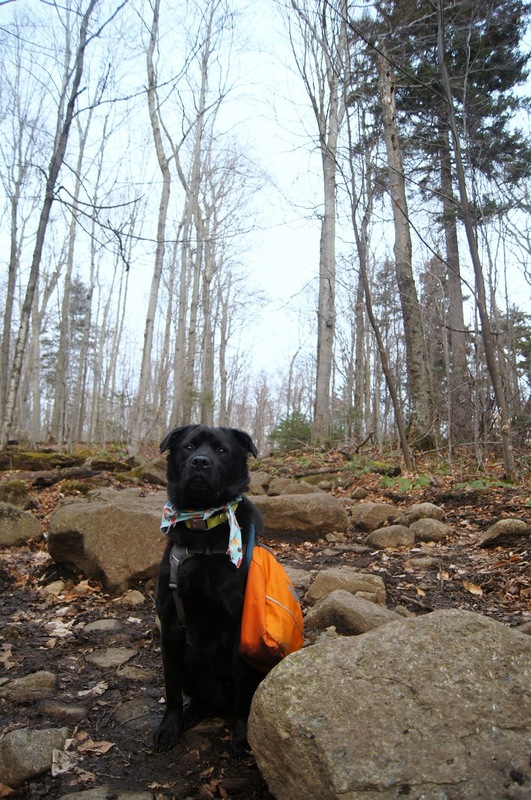 He did his first mountain hike when he was a little less than a year old (we only had to carry him down one steep section) and he has since hiked in five states: Maine, New York, Rhode Island, Connecticut and Massachusetts. This past year, I got the idea in my head that I wanted to become an ADK 46er. In order to become a 46er, you have to hike all 46 of the High Peaks in the Adirondacks. 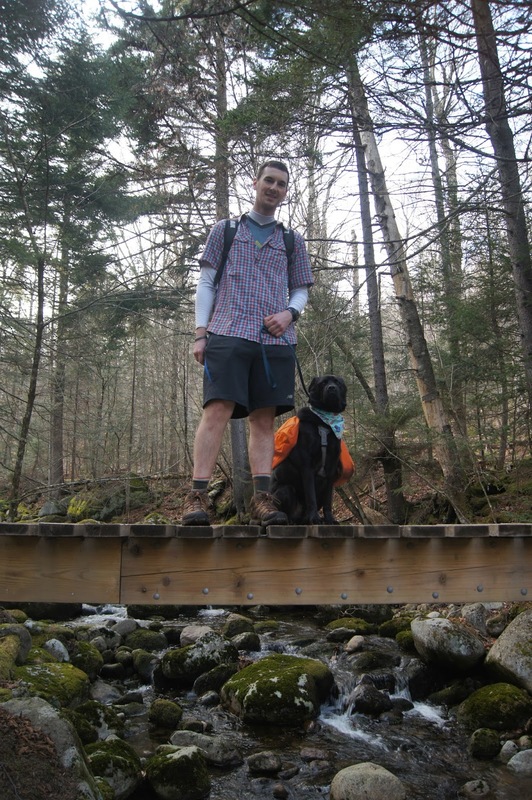 We have only hiked four of the high peaks, but we are planning a few more adventures this coming year. Hopefully including the Great Range Traverse, which will help us get seven more high peaks, and a few other non-high peak mountains, over 26ish miles. I can't wait for more hiking adventures and seeing where else our feet take us. Bernie's first time at the bubble! A repeat hike for us. 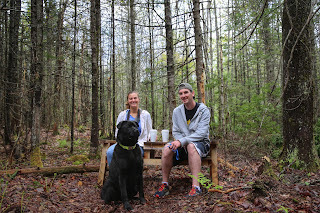 Sometimes our hikes are easier and include coffee! Whether it's just the two of us, with Bernie, with family or friends, we love hiking!